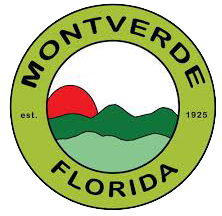 Montverde is a uniquely impressive place to live. Rolling hills and the canopy of trees define our rural community. In light of the imminent growth and ongoing development in the South Lake region, four guiding principles have established the Montverde vision to ensure the quality of life that we wish to enjoy for the coming generations. History – Montverde is embedded with a rich history for which it is essential that we preserve as it defines our identity and is a source of pride. The history and culture that uniquely defines our Town is available for all to appreciate. This includes archeological sites, historic buildings and cemetery, the birthplace of Snapper mowers, etc. Traditional Values – Child-friendly parks and venues that encourage family outings and gatherings are the cornerstone of our Town. Annual family events provide opportunities for neighbors to meet and connect. A climate of volunteerism is fostered for a “Neighbor helping Neighbor” climate where kindness prevails. Safety – Our town will sleep comfortably at night knowing that excellent fire and police protection will ensure the safety of residents and their families. Streets will be designed to be pedestrian and bike friendly. Effective traffic control and management will encourage safe outdoor activity and reinforce the small town ambiance. Community and Environmental Health – Partnering with the local medical and fitness community provides numerous opportunities for sports and fitness events, in addition to community health education and screening. Bike paths and fitness stops coupled with the preserved wildlife habitat provide numerous ways for individuals to enjoy a healthy outdoors lifestyle. Improvement of infrastructure is essential to ensure the protection and conservation of our natural resources. A sewage and waste treatment system will ensure clean lakes and potable water from the aquifer. Wildlife and water conservation measures will guarantee that our natural resources and rural lifestyles are preserved. This is our Vision… knowing that our tomorrow begins with today.